Neil Shekhter’s NMS Properties is expanding its residential reach in Santa Monica. The developer is proposing a 100-unit apartment building with 4,441 square feet of ground-floor retail space, according to Urbanize. In August, an NMS spinoff called WS Communities proposed a 40-unit complex in Santa Monica with 4,000 square feet of retail. NMS Properties’ latest plan calls for the eight-story building to rise at 1543 7th Street, near the Expo line. The Santa Monica Architectural Review Board met Monday to discuss the proposal for the 60,000-square-foot building, Urbanize reported. The project would include one- to three-bedroom units and a roof deck, and would have a three-floor underground parking garage with room for 85 vehicles. The complex would include 25 affordable units, which would be part of a separate building across the street, at 1514 7th Street, according to Urbanize. Santa Monica-based KFA Architecture is designing the 7th Street complex. The firm also created WS Communities’ 40-unit building, along with Cypress Equity Investments’ 66-unit complex in downtown Santa Monica, also proposed in August. 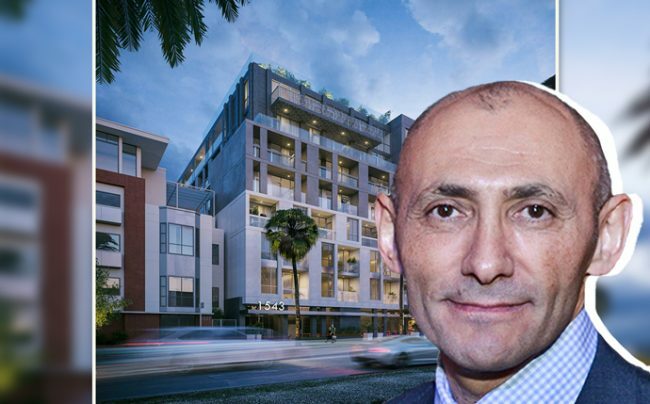 Shekhter, a prolific developer, has been in the headlines since 2014, when he became embroiled in a legal dispute with AEW Capital Management — his former joint venture partner — over the sales of a nine-property portfolio in Los Angeles to SPI Holdings.